New York Police Department officers feel terribly low morale, believe that relations with their communities have worsened and think that New York City is less safe than it was before the latest mayoral administration took over. The results are part of a police union survey of more than 6,000 NYPD officers belonging to the Patrolmen’s Benevolent Association police union, which numbers 24,000 cops. Officers say the situation in New York City changed with the arrival of Mayor Bill de Blasio and Police Commissioner Bill Bratton in 2014, according to the New York Post. “The results of this survey prove what we’ve been hearing time and time again from members over the past two years ‒ the job is more difficult than ever, the dangers are greater, and morale is extremely low,” said Patrick Lynch, union president. While the entire survey will be revealed later this week, the findings suggest that many officers are less than pleased with their leadership and their jobs. Asked to rate morale on the force, officers offered an average ranking of 2.49 out of 10. 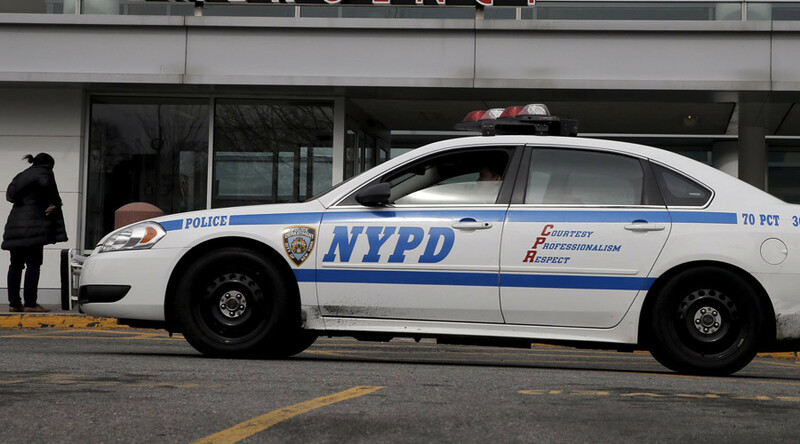 Meanwhile, 87 percent of respondents said that, since 2014, the city has become “somewhat less safe” or “a lot less safe.” About 96 percent of officers said that relations with communities has gotten worse over the same timeframe, the NY Post reported. The vast majority ‒ 89 percent ‒ of officers said they would even quit their jobs for another position that paid more money, while 86 percent said they would not recommend becoming cops. This isn’t the first time NYPD officers, and particularly the Patrolman’s Benevolent Association, has expressed displeasure with the de Blasio administration. The mayor came under fire for his response to police brutality protesters in 2014, especially in the wake of the police chokehold death of Eric Garner. De Blasio expressed some support for movements like Black Lives Matter, and many officers felt like he was taking the activists’ side at the expense of police. The situation escalated months later, after two NYPD officers were shot dead at point-blank range. 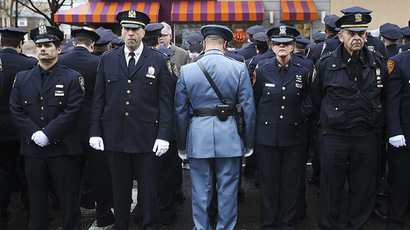 During their funerals and wakes, hundreds of officers turned their backs on the mayor in an act of protest.